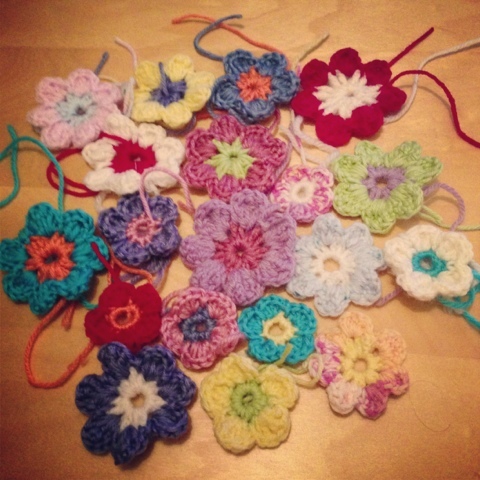 Here is a crochet project I started working on earlier this summer then abandoned as the ends needed sewing in! It's is a floral garland, a pattern that was featured in Mollie Makes magazine. It consists of three different flower sizes and once I got the hang of it I couldn't stop! Just need to finish sewing in the ends then actually make it into a garland. But here is what I've got so far! 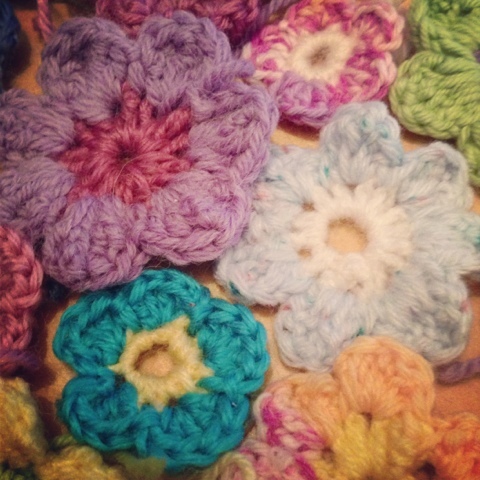 It may not be that amazing but I'm totally amazed how easily I am picking up crochet now after such a battle! I'm still impressed at how advanced looking the most basic of stitches can look! These are so stinkin cute. How do you plan to use them or display them?